Tata Motors was kind enough to take our long term Bolt back and offer the new Tiago in exchange for it. I had not really been up, close and personal with the Tiago before this, and I’ve got to admit it is easily the best looking Tata yet. Despite the slightly dull looking grey colour of our long term Tiago, its cheery looking front end makes the car appealing to look at. And since it is a new car, several people on the road looked at it curiously and even smiled in appreciation of the car’s design. Good job there Tata Motors! Once I started driving it, I was quick to note a few things, especially since I’d just gotten off from the Bolt. Firstly, it misses out on the Bolt’s infotainment system’s coloured touchscreen. Secondly, the Tiago also misses out on automatic climate control, which is a bit of a letdown. What’s more, the air-conditioning system’s compressor takes about a minute to kick in and provide cool air, and could have been quicker. The XZ variant though gets rear parking sensors which the Bolt did not. Not that parking a small hatchback like the Tiago is a chore but it certainly makes parking the car easier. I also really liked the amount of space it offers – despite its compact dimensions, the car feels pretty spacious and the boot is surprisingly large too. 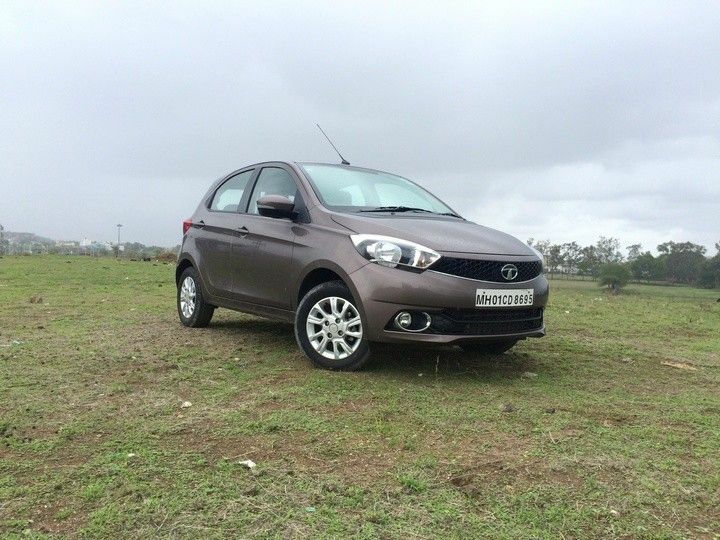 Our Tiago uses Tata Motors’ all-new 3-cylinder, 1-litre diesel motor. Its outputs of 70PS and 140Nm feel adequate for city driving, but I felt the Tiago could have done with some more grunt for the highway, since I use it regularly for my Pune-Mumbai commutes. The car gets city and eco driving modes, and eco mode is a great way to ensure you optimise the car’s efficiency, especially in city. That said, I’ve spent a lot of time with the Tiago in Mumbai’s traffic too, and it feels perfect as a city car especially in a city like Mumbai where traffic snarls can drive one crazy. Of course, the Harman sourced music system is a boon, since it offers great audio quality, and the sound quality in fact feels better than the Bolt’s. Until next time then.